I was never big into Street Fighter II. Mostly I liked playing Blanka because he could bite the other guy's head. But I don't have the dexterity for pulling off any kind of special move, so the game was mostly lost on me. But it was an everpresent part of kidvid growing up, so it's there in my brain just through pop culture osmosis. Not many strong feelings. Not many strong feelings, but not none. Like, for instance, if TakaraTomy were to go friggin' bonkers and redeco a set of four Transformers as Ken, Ryu, Chun Li, and M Bison? Yeah, that intersects my interests. Seriously, what the fudge. These two sets are nuts, and they came outta no where. Megatron, Optimus, Hot Rod, and Arcee are all decoed like the human characters from Street Fighter II, down to having flesh tones where the characters have flesh tones. It's equally ugly and visually captivating. Ken has bare feet? 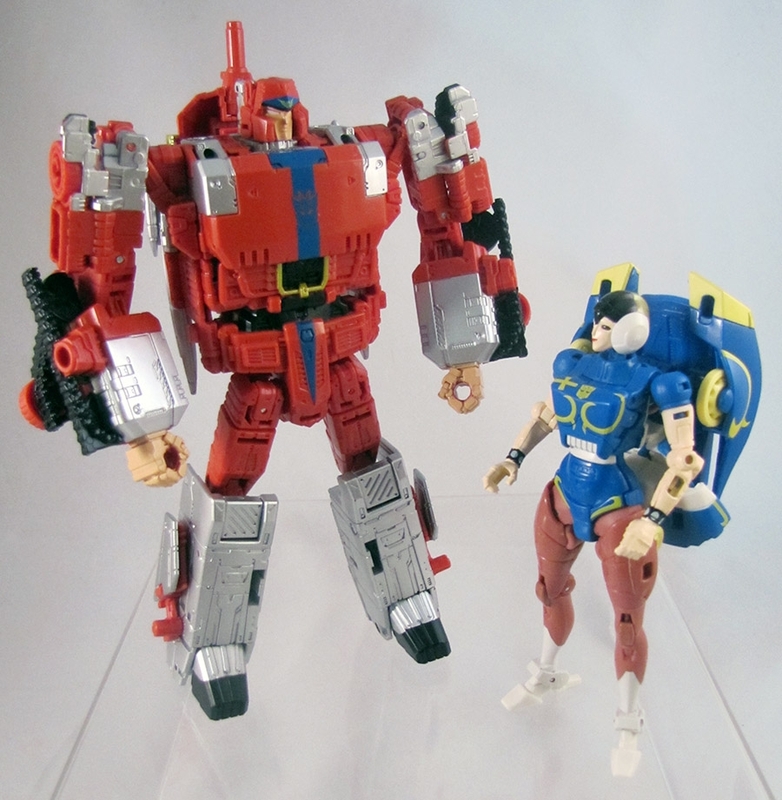 Yes, let's paint Hot Rod's toes pink. Let's paint his Headmaster's toes pink, too. And the toys are posed in their packaging doing their special moves. M Bison is launching sideways, Chun Li is doing her upside-down spin kick, etc. Unfortunately, they're packaged in a way that made me buy them both. I really only want Megatron/M Bison and Arcee/Chun Li, and not Optimus/Ryu or Hot Rod/Ken, but they matched each of the two I wanted with one I didn't, so whatcha gonna do. Look, I'm gonna be completely honest with you. I bought these sets because of Raul Julia. I wanted a Raul Julia M Bison Transformer. That dude knew how to have fun playing an incredibly goofy fascist dictator, with, like, octopus hat racks and everything. He chewed scenery like it was friggin' beef jerky. And so now I have a Transformer of him. He's a redeco of Titans Return Megatron, who's a triple changer. 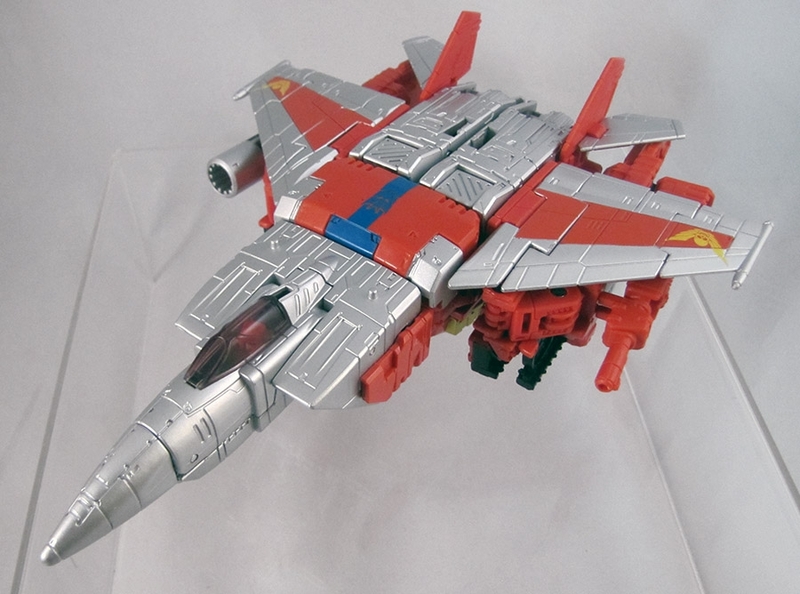 (Which itself is essentially Blitzwing with a new chest and head.) 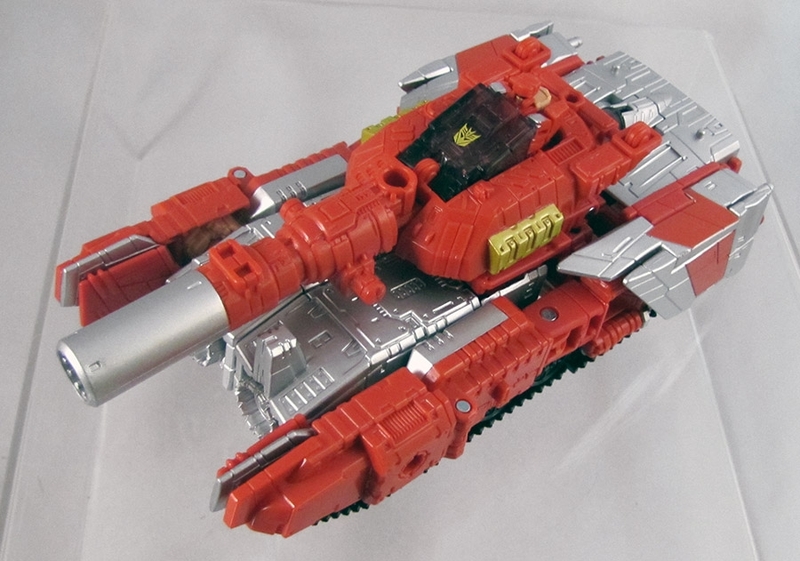 M Bison transforms from tank to jet to robot and back. His head transforms into a little robot guy who's ALSO painted to look like M Bison. It's a pretty solid toy, and it has a good presence as M Bison. 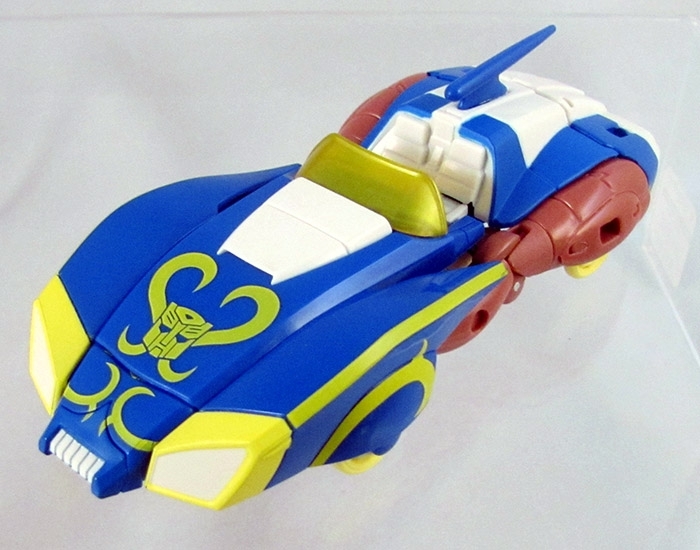 Arcee as Chun Li probably has the most interesting deco of the set. Ken's a solid red guy and Ryu is that scheme but in white, and M Bison is red again but with silver... but Chun Li gives the Generations "Thrilling 30" Arcee toy a nice blue/brown/yellow/peach ensemble that's more engaging than the others. Plus nobody doesn't like Chun Li. She's friggin' Agent Melinda May, yo. Unfortunately, she doesn't have the same Headmaster gimmick as the other three. I guess TakaraTomy didn't want to use Titans Return Windblade or Titans Return Arcee for her. They're probably not gonna do more of these. But if they did, I'd take a Blanka, please.